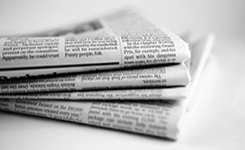 A simple guide to E-Verify your return! So, you’ve filed your return before the due date? Great! But have you verified it yet? If not, then you’ve got to do it now because non-verification of ITR is as good as not filing it. ITR requires further processing which cannot be done by IT department unless you verify it. ITR can be verified either manually (sending ITR-V to CPC Bangalore) or electronically (E-Verification). 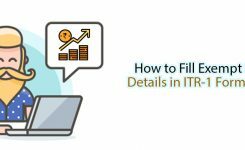 Such detailed, well laid out info graphic must have helped you to verify your ITR but if you still need a detailed version, please refer to our Step By Step Guide on E-Verification. 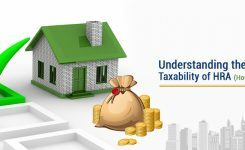 Please check our refund guide on https://tax2win.in/income-tax-refund-status. Please share the PAN and Log In credentials of the Income Tax Website on our mail id so that we can check the issue in detail. For any additional information/ query, please feel free to call us at +91 9660996655 or write to us [email protected] and our expert CAs will be happy to assist you. We have checked your status through the PAN no. shared but still, you need to wait for some more time. We recommend you to check your refund status after one week on the link https://tax2win.in/income-tax-refund-status through your acknowledgement number. Although, this year department is taking time in processing the ITRs but no need to worry if you have e-verified or sent your ITR V by post then definitely it would be processed by the department sooner or later.So, please be patient and keep on checking the refund status. Further, you can share your contact details and Log-in credential details at [email protected] and our expert CA will let you know the exact reason for the delay in processing your refund. If you have e-verified within time so the department would definitely process the same. Please be patient and wait for some more time as sometimes there may be delay in processing the same. Further, you can check your refund status from Income tax department website. I SUBMIT 2017-18 ITR-V ON 27/04/17 . CPC CONFIRM RECEIVED OF THE SAME ON 04/05/2017(E-FILLING AC. NO. 765285490270417 ) . PLEASE CONFIRM THE TDS REFUND APPROX. DATE . MY PAN NO. AHOPM0866F (A.Y. 2017-18). Your refund has been credited into your bank account number on 3rd November, 2017. Further, you can check refund status from Income tax department website. After filing the return, you must have received a mail from income tax department regarding the verification of ITR V. Also, You can check your refund status from Income tax department website. I have filed and e-verified my 2017-18 file on June-20th-2017, still it was showing it’s under process only, could you please help me on this … Thank you!!! Even for me it is getting delayed , I filed and e-verified on 28Jun2017 , still in same status. I called Income tax department they told it will be processed but they didn’t promise any date they told it will be completed within this year. Since you have e-verified within time so the department would definitely process the same. Please be patient and wait for some more time as sometimes there may be delay in processing the same. Further, you can check your refund status from Income tax department website. My e-file acknowledgement no.850757440070717 date 7thJuly 2017.Sir,kindly inform the status of refund my pan no AHDPK 2351G. I have filled ITR passed 3month. Return is not yet now. Please as soon as possible to refund. If you have e-verified within time so the department would definitely process the same. . Please be patient and wait for some more time as sometimes there may be delay in processing the same. Further, you can check your refund status from Income tax department website. Since you have sent the ITR-V, so the department would definitely process the same. Please be patient and wait for some more time as sometimes there may be delay in processing the same. Further, you can check your refund status from Income tax department website. 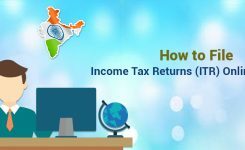 After filing the return, you must have received a mail from income tax department regarding the verification of ITR V and further, you can check your refund status from Income tax department website. Even for me it is getting delayed , I filed and e-verified on 27Jun2017 , still in same status. I have not got IT refund of assessment year 2017-18.When will I get my refund? 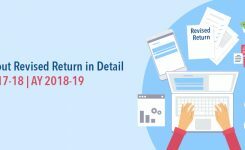 Usually the refund comes within 45 days of the filing of ITR but this year the department is taking time, so please be patient and keep on checking the refund status on the link – https://tax2win.in/income-tax-refund-status Further, no need to worry if you have e-verified or sent your ITR V by post then definitely it would be processed by the department sooner or later and whenever you will receive the refund, it would be credited along with interest. Also, you can send us your contact details along with the query at [email protected], our expert CA will check your case and will update you the exact details. For any additional information/ query, please feel free to call us at +91 9660996655 or write to us [email protected] and our expert CAs will be happy to assist you. Also, you can share your contact details along with the query on our mail id and our expert CA will check your case in detail. Till now I didn’t get any information IT Returns department about my refund amount. I had sent on June 2017. Usually, the refund comes within 45 days of the filing of ITR but this year the department is taking time so please be patient and keep on checking the refund status on the link https://tax2win.in/income-tax-refund-status. Further, no need to worry if you have e-verified or sent your ITR V by post then definitely it would be processed by the department sooner or later. We recommend you to check your refund status after one week on Tax2Win through your PAN or acknowledgement number. Further, you can share your contact details and Log-in credential details at [email protected] and our expert CA will let you know the exact reason for the delay in processing your refund. Please inform me about TDS Refund for the assessment year 2017 – 2018. My Pan No. is AGIPC2533L. We have checked your status through the PAN no. shared. You need to wait for some more time. We recommend you to check your refund status after one week on the link https://tax2win.in/income-tax-refund-status through your acknowledgement number. Sometimes, department takes time in processing the ITRs but no need to worry if you have e-verified or sent your ITR V by post then definitely it would be processed by the department sooner or later. So, please be patient and keep on checking the refund status. Further, you can share your contact details and Log-in credential details at [email protected] and our expert CA will let you know the exact reason for the delay in processing your refund. 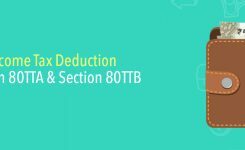 i have PAN No- AFUPR9771A , SUBMITED ITR _V, 2018-19 . CPC CONFIRM RECEIVED OF THE SAME ON 12/11/2018. E-FILLING AC. NO. 195095850280818 ) . PLEASE CONFIRM THE TDS REFUND APPROX. DATE . We have checked your status through the PAN no. & Acknowledgment no. shared. You need to wait for some more time. 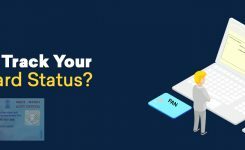 We recommend you to check your refund status after one week on the link https://tax2win.in/income-tax-refund-status through your acknowledgment number. Sometimes, the department takes time in processing the ITRs but no need to worry if you have e-verified or sent your ITR V by post then definitely it would be processed by the department sooner or later. So, please be patient and keep on checking the refund status. Further, you can share your contact details and Log-in credential details at [email protected] and our expert CA will let you know the exact reason for the delay in processing your refund. I have filed ITR in month of July first week but till now not received my refund. We have checked your status through the PAN no. shared. The current status “ Refund is already credited to your bank, please contact your bank on 14/01/2019”. Therefore, we recommend to check your bank statement now. 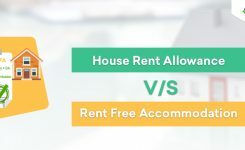 For more information in this regard, you can connect with us at [email protected] or at +09660996655.